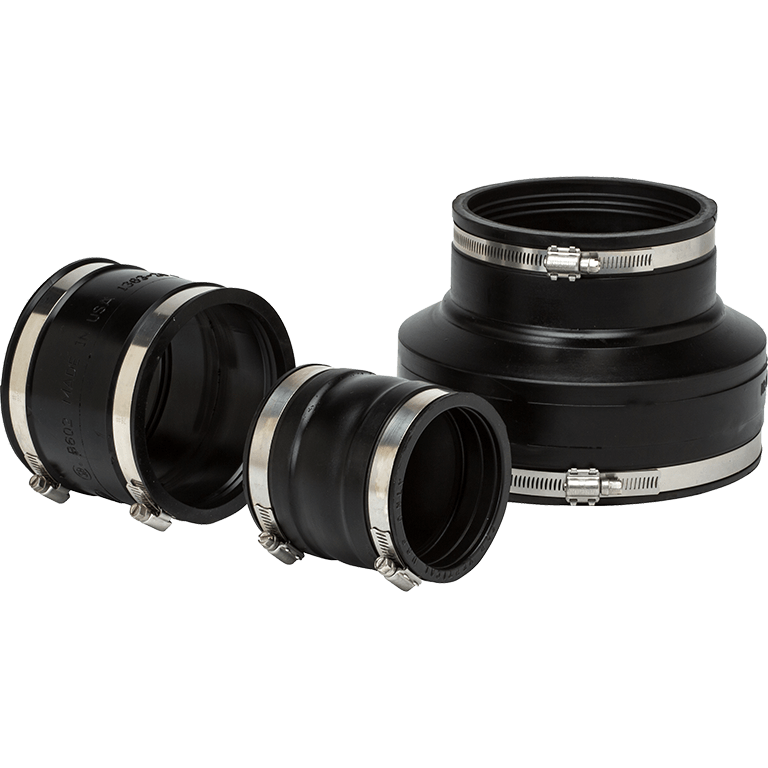 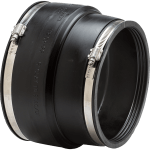 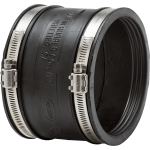 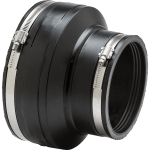 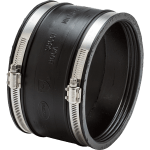 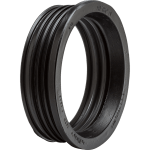 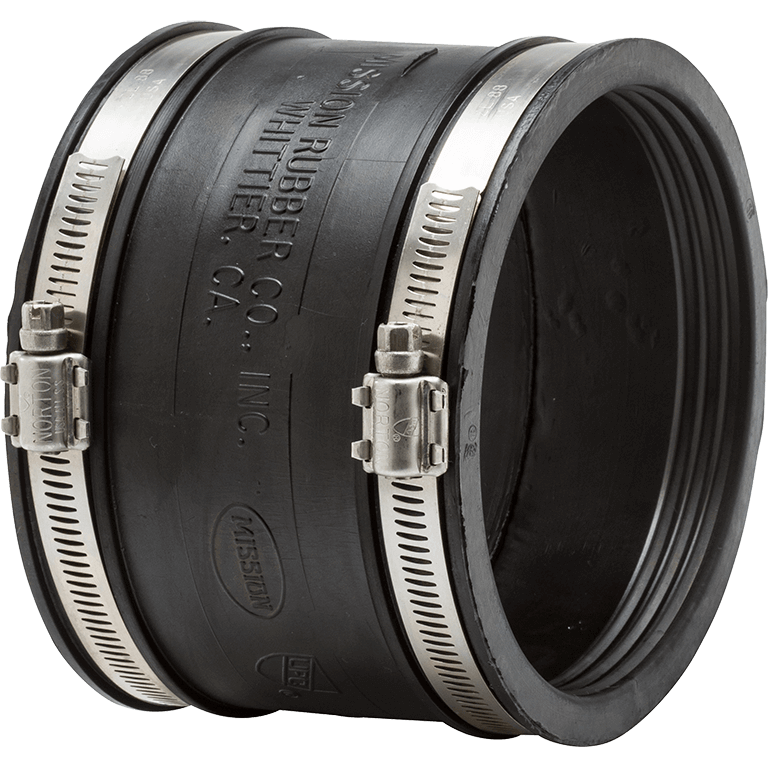 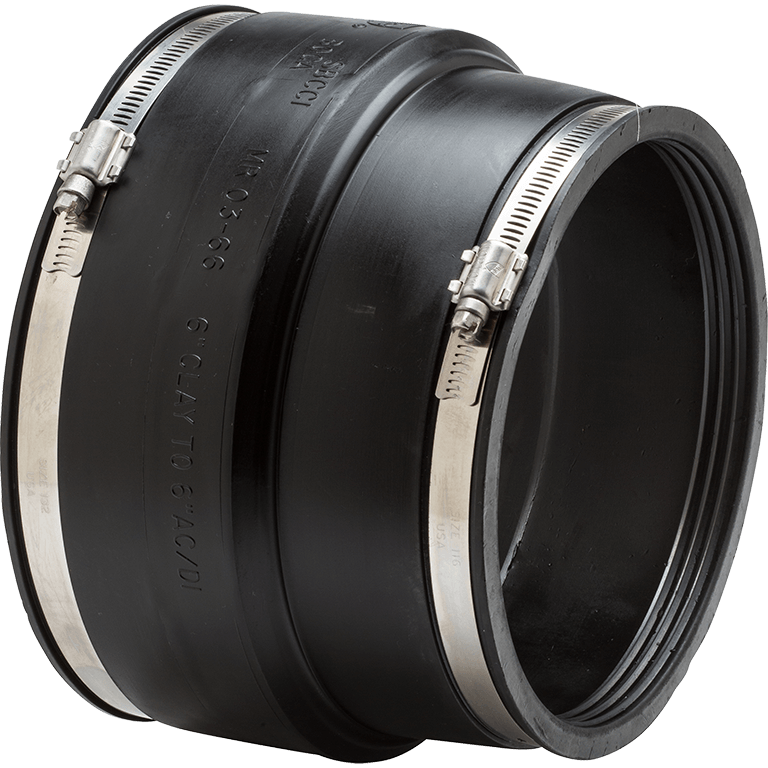 Flexible, unshielded sewer couplings connect similar and dissimilar pipe materials and sizes in Clay, Type O Clay, Cast Iron, TYPE O Cast Iron, Schedule 40 Plastic, Thinwall Plastic, Ductile Iron, Asbestos Cement, Concrete, Tubing or Copper pipe. For non-pressure, gravity flow applications only. Recommended for underground installations, although some jurisdictions will allow use above ground. 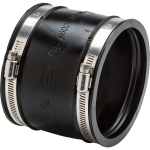 Easy to install and reuse. 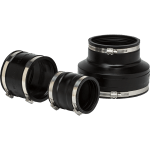 Multiple sizes from .75" to 27". 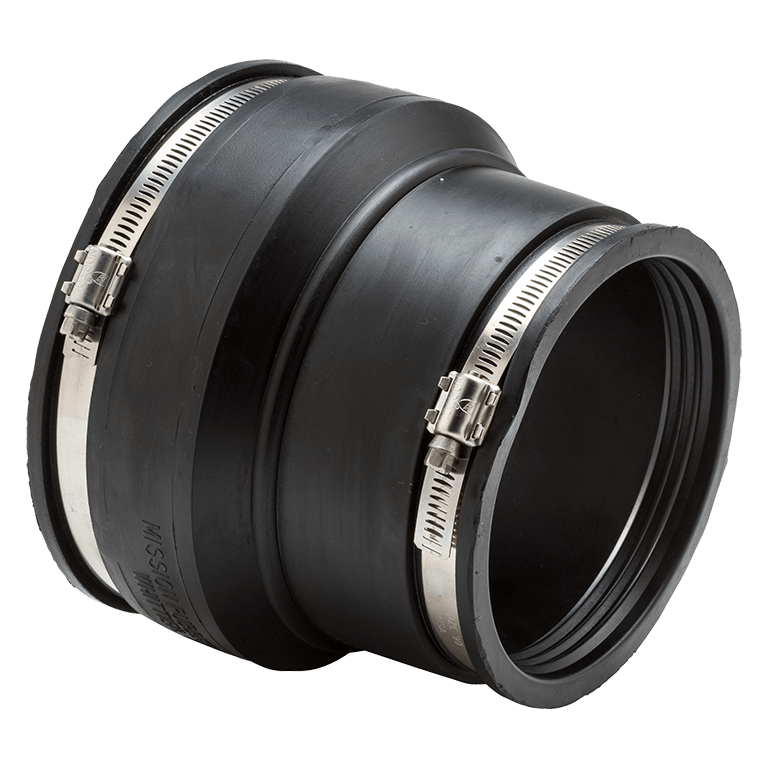 Need a custom, large diameter size? Click here. Stainless steel components resist corrosion in marine applications, poorly aerated/moist soils, contaminated grounds conditions, (e.g.industrial fill sites) and chloride, sulfates or bicarbonates in ground water.